Congressman Joe Courtney (D-CT), a member of the House Education and Labor Committee, recently reintroduced the Protecting America’s Workers Act, which would amend the Occupational Safety and Health Act (OSH Act) of 1970. Expand OSHA coverage to state and local government employees in 25 states and broaden coverage to include federal employees. Mandate that employers correct hazardous conditions while a citation for a serious, willful, or repeat violation is being contested. Reinstate employers’ obligations to maintain accurate records of work-related illnesses and injuries and reverse a Congressional Review Act resolution to allow OSHA to cite employers for failing to accurately record injuries and illnesses. Improve whistleblower protections for workers. Provide authority for increased civil monetary penalties for willful and serious violations that cause death or serious bodily injury. Require employers to report injury and illness records to OSHA to provide the agency with data to effectively target unsafe workplaces. 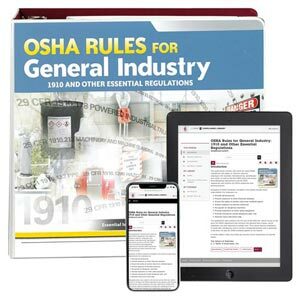 Authorize felony penalties against employers who knowingly commit OSHA violations that result in death or serious bodily injury and extend such penalties to corporate officers and directors. Allowing the Secretary of Labor to assert concurrent enforcement authority in state plan states where the plan fails to meet minimum requirements needed to protect workers’ safety and health, as recommended by a Government Accountability Office report.